Macy’s has the Cambridge Arie Hammered 39 Piece Flatware Set, Service for 6 on sale for $53.99, add coupon code: HOME to bring the price down to only $40.49 + Free shipping. 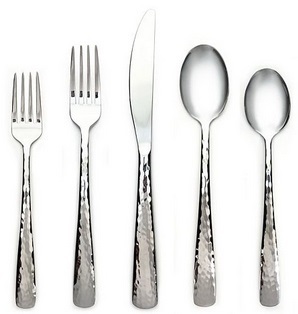 Set includes (6) Sporks, (6) Salad Forks, (6) Dinner Forks, (6) Dinner Knives, (6) Dinner Spoons, and (6) Teaspoons. Also included is a 3-Piece Serving set with 1 each: Solid Serving Spoon, Serving Fork, and a Slotted Serving Spoon. Frye Melanie Slip-On Sneaker Only $59.97! Fujifilm instax mini 9 Instant Film Camera Only $39.99 + Free Shipping!